ven If you currently work with HVAC systems, but you are looking to grow your knowledge and your abilities, then it’s a great choice to move into appliance repairs. There are many skills that translate into appliance repair, and you can always further your education to make you capable of adding appliance repair to your skillset. As a result, you will be able to enhance your qualifications and build a better business. In short, if you can work on HVAC, you are on your way to being able to repair appliances. Here are 4 of the many translatable aspects of the two professions. One natural connection between HVAC and appliance repair is the fact that you already understand how to work with the same type of clients. Additionally, you are very aware of how to treat your clients and their property, as well as the importance of working under a deadline. When you are working to repair appliances, those same social skills and communication skills are just as necessary. When you work in the world of HVAC, your business will sustain in large part on repeat business. After the initial installation, clients may call with problems or issues that you must attend to. The same is true for appliance repair: machines of all brands and quality can break down over time, or human error can cause other issues. These clients will then need further assistance. In short, there is always a need for professionals who can attract and retain clients through their quality work in appliance repair. If you already work in heating, air conditioning, and refrigeration, you will possess a wide range of skills that can easily translate to working with appliances such as refrigerators and freezers. Additionally, you perform electrical work in both professions. Although the details may differ, you will already have a basic understanding of how to safely work with electricity. HVAC professionals also have existing knowledge of working with heat pumps, which are used in several dryers. Even though these are new concepts with clothes dryer, it is a new direction many appliance manufacturers want to follow. Naturally, you still need additional training. 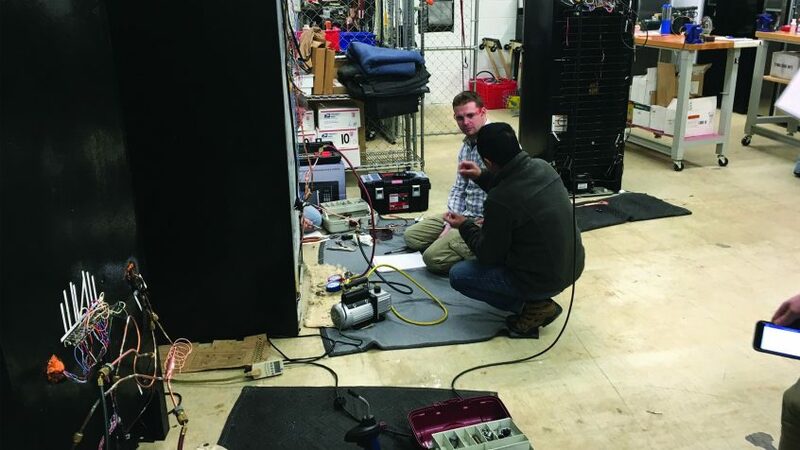 Although appliance repair requires many of the tools, safety procedures, and client relation skills as HVAC, more specific training will be necessary to help you enter the field as a professional. The advantage is that you don’t start the training at zero. 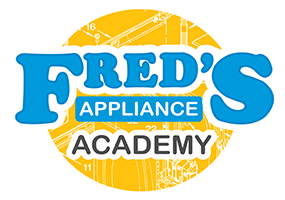 A three-week course, helps you go over some information that you already know, but you’ll also learn more specifics on appliance repairs. The good news is that much of the information may not be unfamiliar to you. Already working with HVAC means that you are familiar with the steps needed to diagnose problems, make repairs, and order the materials that you need to complete the work. From a brand new install to simply making repairs, you understand the process necessary to ordering the exact right parts. The same is true with appliance repair. In many cases, professionals carry some basic parts for the most common types of repairs. But more often than not, you’ll need to work with different companies and manufacturers in order to secure the needed materials at a moment’s notice. Appliance repair is a growing field, and it’s important to get the proper training in order to be successful. But if you already work on HVAC systems, you have a solid knowledge base that will allow you to continue and increase your existing business success. It is never a bad idea to learn more, and expand your areas of expertise. 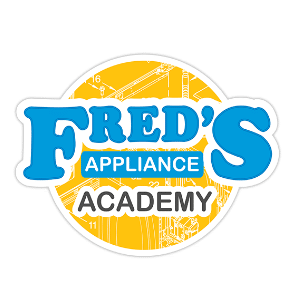 With some training that builds on your existing HVAC qualifications, you will be able to move seamlessly into appliance repair. To learn more about training courses that help you accomplish just that, please contact us.